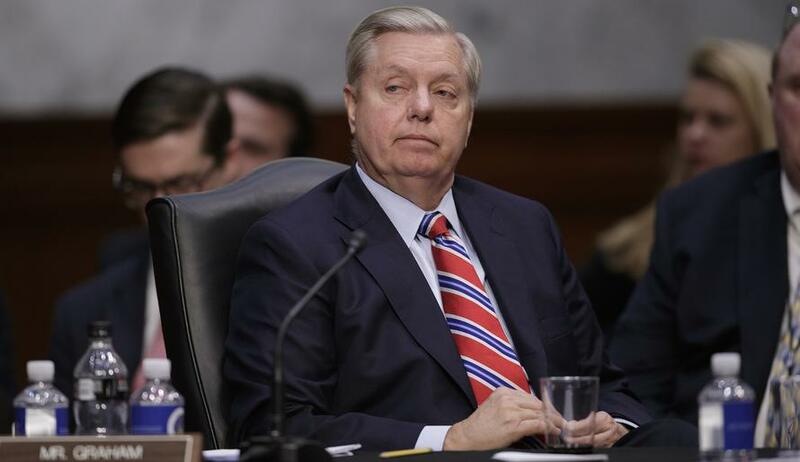 Sen. Lindsey Graham on Thursday called on President Trump to declare a national emergency in order to fund the construction of the US-Mexico border wall, after the latest round of negotiations in the Senate fell apart. "Speaker Pelosi's refusal to negotiate on funding for a border wall/barrier -- even if the government were to be reopened -- virtually ends the congressional path to funding for a border wall/barrier," said Graham in a statement. "It's time for President Trump to use emergency powers to fund the construction of a border wall/barrier." The statement follows failed negotiations led by Graham involving moderate GOP senators, some of whom blamed both President Trump and House Speaker Nancy Pelosi (D-CA) for being unwilling to compromise with each other. Earlier Thursday we reported that the White House is preparing legal justification to declare a national emergency, according to CNN Chief National Security Correspondent, Jim Sciutto. Trump, meanwhile, told reporters that he'll "probably" declare a national emergency if the partial government shutdown drags on. If Trump moves forward with that option, Graham told reporters that Congress could try to block it using a privileged motion. "If he goes down that route, apparently under the statute the House can take up a privileged motion [and] disapprove the declaration," said Graham. "It comes over here, Senate Democrats can insist we vote on it. And if you get a majority to disapprove it doesn’t go forward." At which point Trump can throw his hands up and tell his base that he did everything he could.